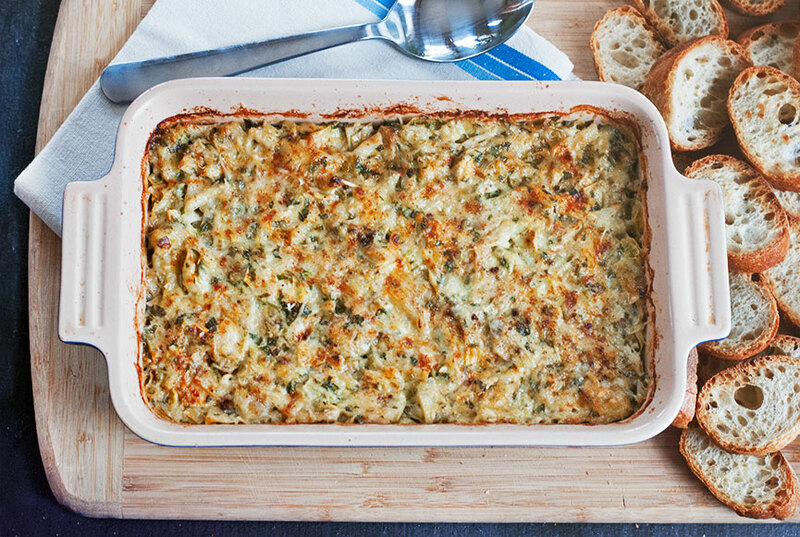 Elevate the typical artichoke dip with a healthy dose of crab. You’ll thank me for it. 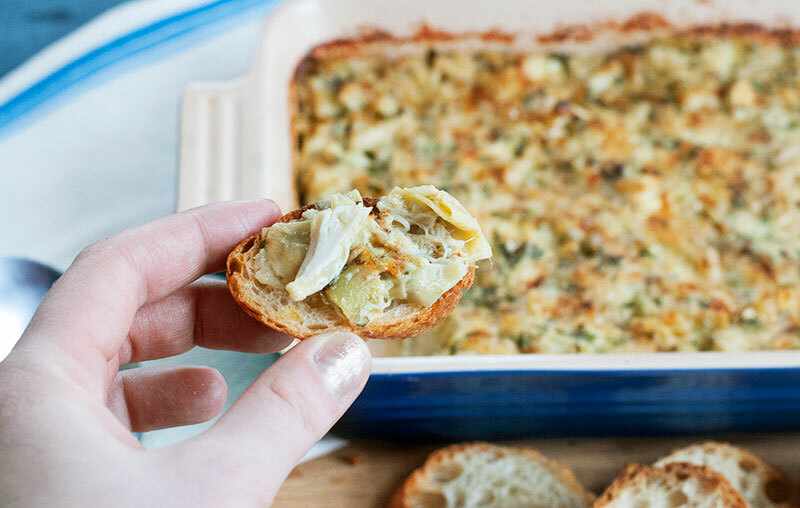 In a mixing bowl, combine crab, artichoke hearts, mayo, parmesan, parsley, garlic and madeira with a fork. It should be thoroughly mixed but lumpy. Season with salt and white pepper to taste. Put mixture in a flat casserole dish large enough so that the mixture is no deeper than an 2 inches or so. Top with paprika and cayenne. Bake uncovered for 20 minutes until bubbly. Serve with toasted, sliced bread.